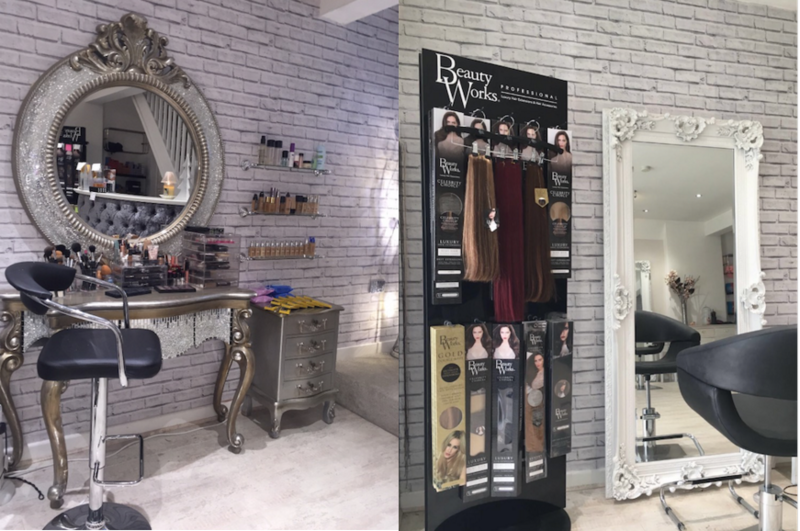 We caught up with Mirror Mirror’s owner, Hollie Williams, to find out more about the styling of the salon, their services and plans for the future. Congratulations on your new salon! Could you tell us more about Mirror Mirror? Thank you so much! The salon’s now been open for almost 5 months! 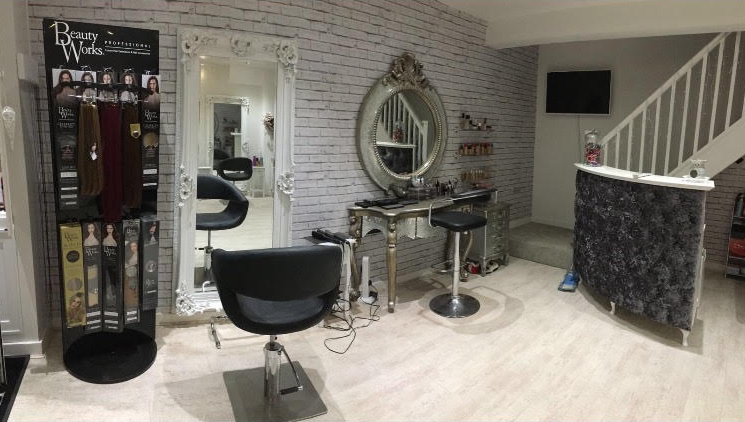 Mirror Mirror is made up of 7 self-employed, well established individuals who all bring a different element of hair and beauty to the salon. The girls all specialise in what they do including hairdressing (Sassy Curls), HD brows and semi-permanent make up (Brows and Belles), make-up and make-up lessons (Make-up by Victoria), Russian volume lashes (Eyelashes by Amanda), gel and acrylic nails (Tips and Flicks), monthly clinics for Botox and fillers (Flawless Cosmetics) and finally hair extensions by myself (Hair Extensions Wirral). You’ve got an impressive fan base. What makes your salon so unique? We are all very similar in that we work hard and all have lots of drive and ambition. We want to be the best in our industry so that’s why we work well together, we know are strong individuals but even stronger as a team. Our client bases have merged together massively since we came together! Clients love that everything is in one place at an exceptional standard. The salon itself is not your conventional salon, we have combined a stylish vintage vibe with modern day furniture to create a unique and unforgettable salon experience. I’ve always liked lightness and brightness in the salon so we have gone with lots of whites, icy blues and light greys. I’ve always loved shabby chic and French Louis style furniture and searched long and hard for the perfect items to bring the salon interior together. How do you keep up to date with new trends? We are all social media mad and constantly searching for the next best thing. We are trying out new looks and learning new techniques constantly. Even though we are all good at what we do, we continue to push ourselves further to keep one step ahead. If customers know you are going the extra mile for them than it makes them feel extra special which keeps them coming back. How was your experience buying from Salons Direct? 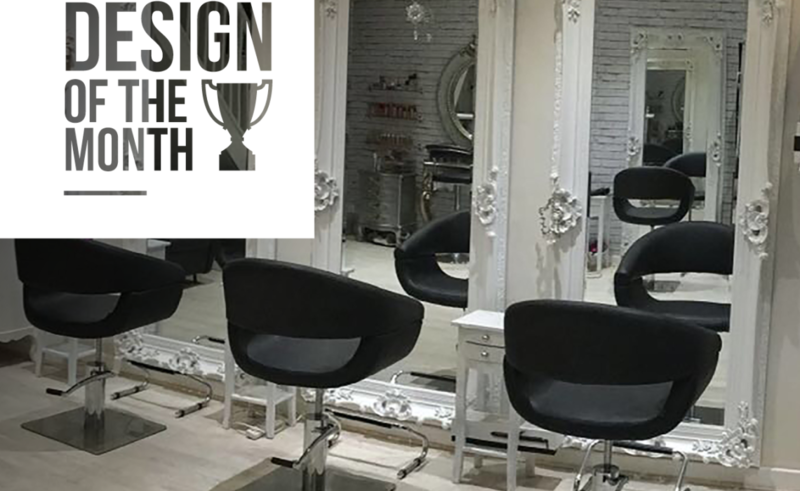 Salons Direct have always been so helpful and have always had a great choice of products and furniture in stock. They are my go to wholesalers for everything hair and beauty. I have been using Salons Direct since I started my hairdressing qualification in college in 2010! You’ve already worked with some amazing hair brands. What are your plans for the future? We are the Beauty Works VIP salon for the Wirral which is so exciting! There has only been 8 VIP salons selected across the whole or the UK. I’m also demonstrating and educating for beauty works as well as doing the hair extensions in Mirror Mirror. I love what I do but always want to think of the next step! I would love to have more salons in the UK and maybe worldwide one day, you can never put limits on your goals! I am obsessed with everything hair related so I can’t see myself doing anything different for a long time. Plus I don’t think my clients will let me do anything else for that matter. I will just keep working hard! You never know what the future holds! For more information on Mirror Mirror, head over to their website. If you are looking at restyling your salon, make sure you check out our extensive range of Lotus Furniture.